Dataminers plowing through Apex Legends‘ game files have found lines of code that mention ranked play, suggesting that a competitive mode may be in the cards for Respawn Entertainment’s free-to-play title. Dexerto spotted the tweet below by StroutFN_, which shows the command. We’re taking this report with a customary grain of salt. As some Reddit users have pointed out, the aforementioned lines may have been left in the game from Titanfall 2‘s code. Respawn Entertainment recently said that it began developing Apex Legends off its 2016 shooter so this explanation isn’t unusual, especially since the game is set in the Titanfall universe. That said, if the past week is any indication, this report can’t be dismissed outright either. Apex Legends made waves as soon as it released. Within one week, the battle royale title topped 10 million players, and boasted one million concurrent players. Following a disappointing financial quarter and a subsequent drop in stock value, the game pushed publisher Electronic Arts’ stock up by as much as 11 percent. 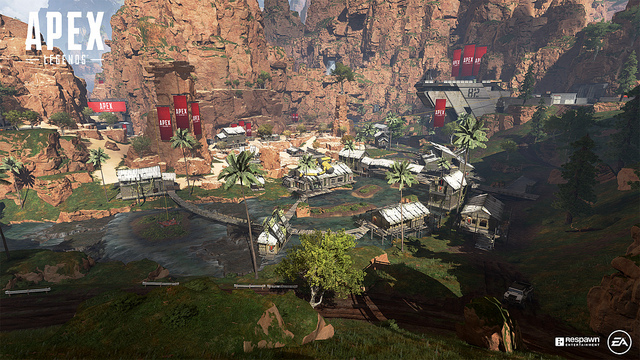 If you’ve been playing Apex Legends, let us know what you think of it so far.